The MRCT can be controlled via Megger’s Smart Touch View Interface (STVI) controller, a full color, high resolution, LCD touch screen which allows the user to perform manual and automatic testing quickly and easily using the manual test screen, as well as using pre-constructed test routines. The large display permits the user to easily read all pertinent data while the test is being performed and provides the ability to view the current transformer’s saturation curve. 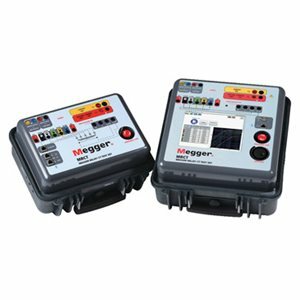 The unit can also be configured to come without a Megger STVI and can be controlled via a laptop with Megger’s PowerDB software. 3) Double click on the file "install_powerdb_10.5.4_30JUL15.exe"
Note: If a white screen appears and stays after the STVI reboots, turn the STVI off and on again to let it reboot.